These straps just look cool! The outside consists of a nylon weave made in Germany by Cordura. This fabric is normally used for heavy-duty work clothes or belt systems. As an alternative, we offer a linen fabric. On the inside, a Kevlar core ensures maximum comfort for the wearer. Kevlar is light as a feather, tear-resistant, and adapts to the shape of the wrist. Normally, it is used to produce bullet-proof vests. Since 2016, Sabina Brägger has been manufacturing textile watch straps for us in her atelier in Bern. We have recently extended the range of available colors and materials (see photo below). 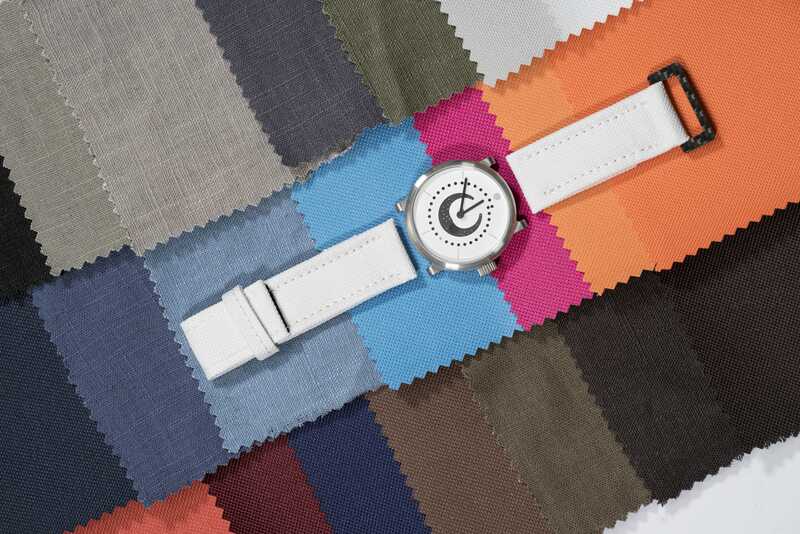 Sabina Brägger will sew your textile strap according to your individual wishes and tailored to your specific wrist size. You choose the color of the fabric and of the thread for the seams. 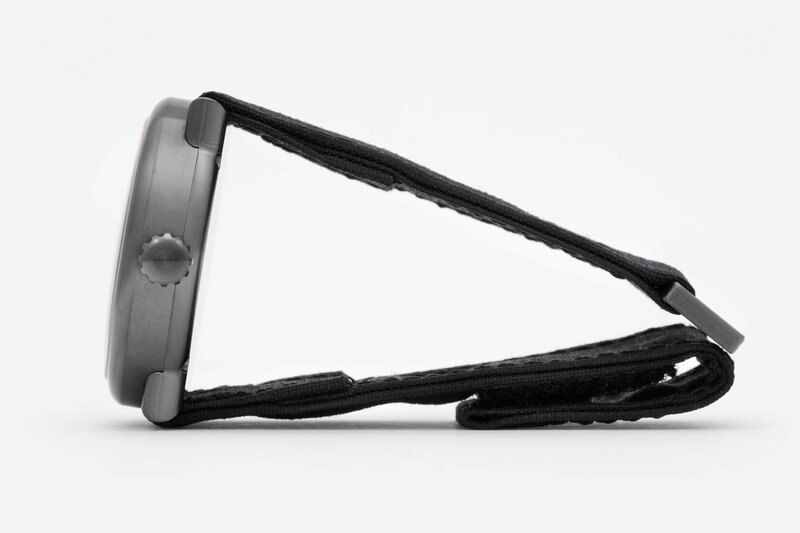 And let us know whether you prefer a strap that is as light as possible or one that allows for a broad adjustment. You can choose from 14 different synthetic Cordura fabrics or 9 linen fabrics. 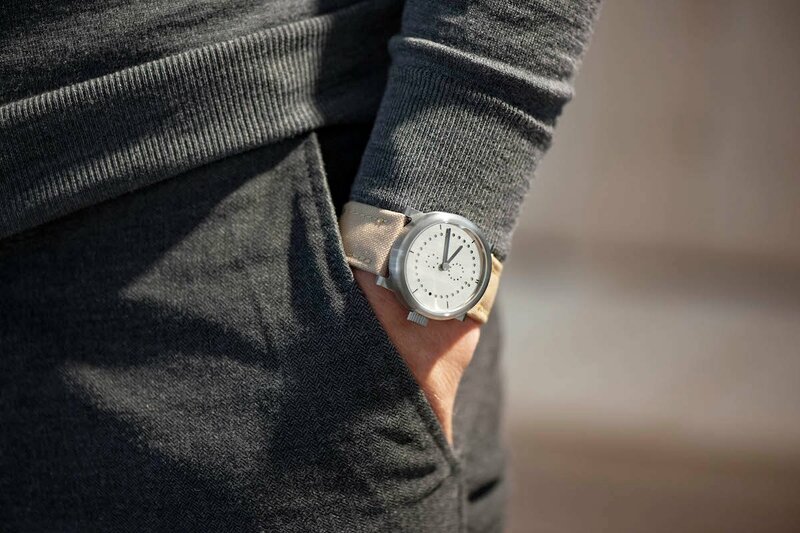 The delivery time for an additional strap for your ochs und junior is 2 to 4 weeks. The straps made from Cordura fabric are extremely durable and can be worn in water and for most sporting activities. As the Kevlar core may absorb some water, we recommend drying the strap with your hair dryer – unless it’s one of those really hot days. The strap can and should occasionally be cleaned with warm water and soap. In that way, it stays hygienically clean and free of disagreeable smells. We have started using textile straps for our own ochs und junior watches in 2016 and so far, none of them have had to be replaced. 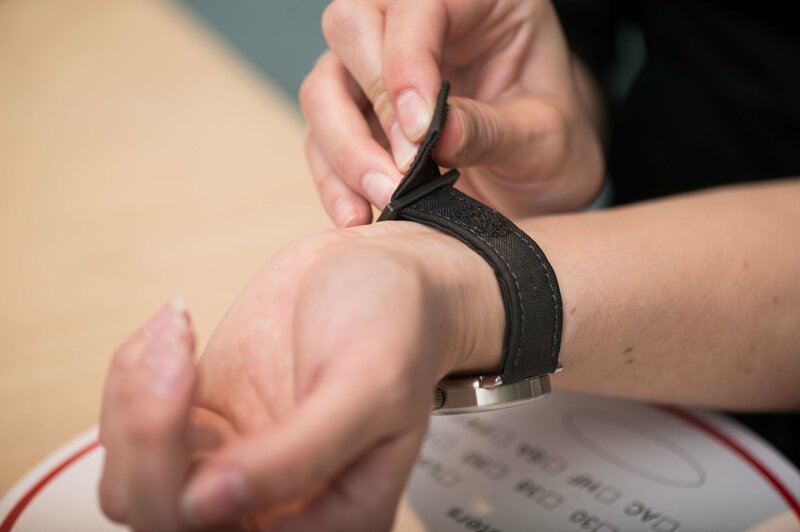 We assume their life span to be umpteen times longer than for a conventional leather strap (life span of a conventional leather strap with daily use: 1 year, life span of a sturgeon leather strap with daily use: up to 3 years – provided the recommended care is given). Read the whole story behind our textile straps in this blog post. 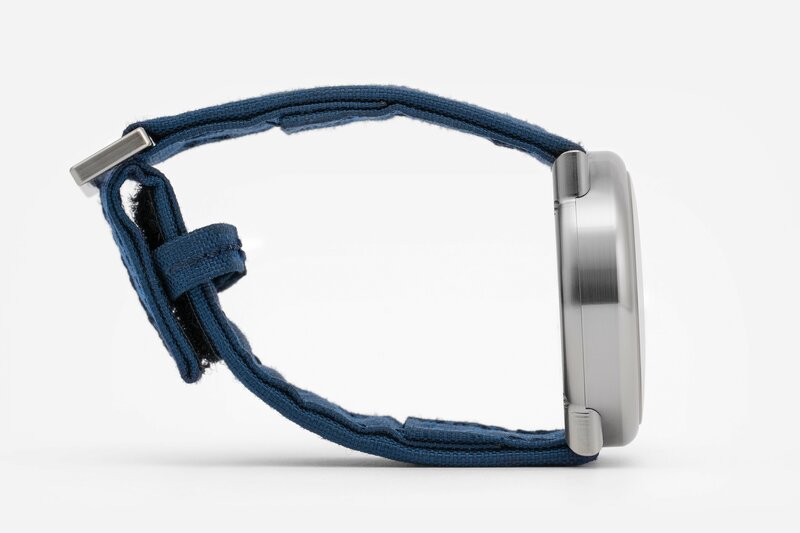 The price of a strap with the measurement 22mm is: CHF 400 (buckle in titanium or carbon), CHF 450 (buckle in sterling silver 925). 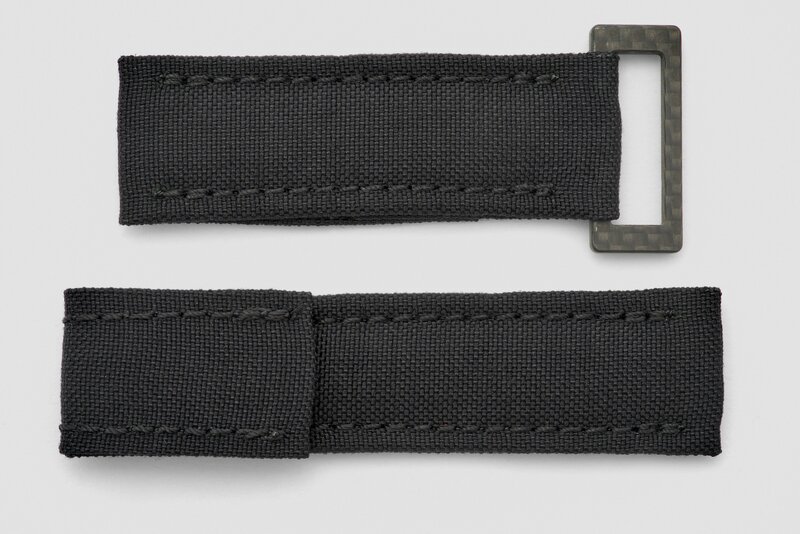 Replacement strap CHF 200 (use of the pre-existing buckle). Contact cofounder Beat Weinmann using the contact information below. He will send you a secure payment link for your payment by credit card. To complete your order, we will need your wrist size. You can measure your wrist using the method described here. 1st row: black, olive, pearl stone, mouse gray, dark green, silver grey, white. 2nd row: marine, duffblau, femblau, bright blue, pink, light orange, orange. 3rd row: terracotta, bordeaux, dark marine, brown, earth brown, chocolate brown, dark brown. 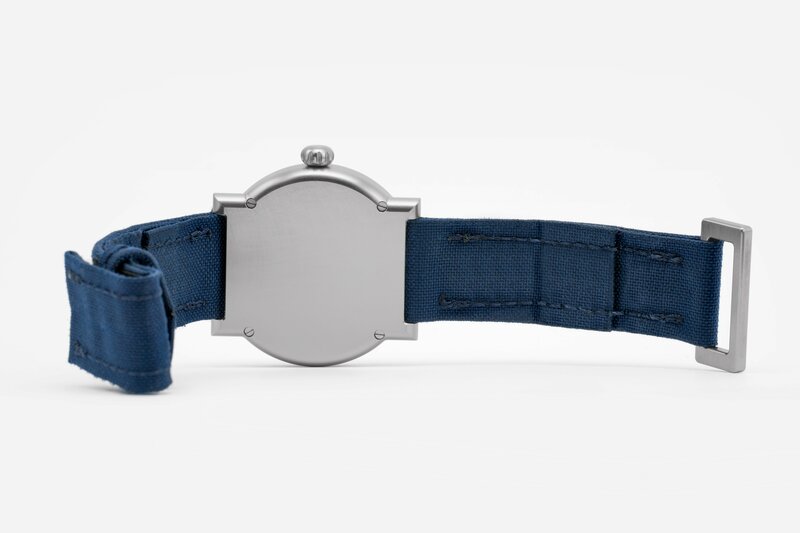 Blue with grade 5 titanium buckle. Black with carbon fiber buckle. 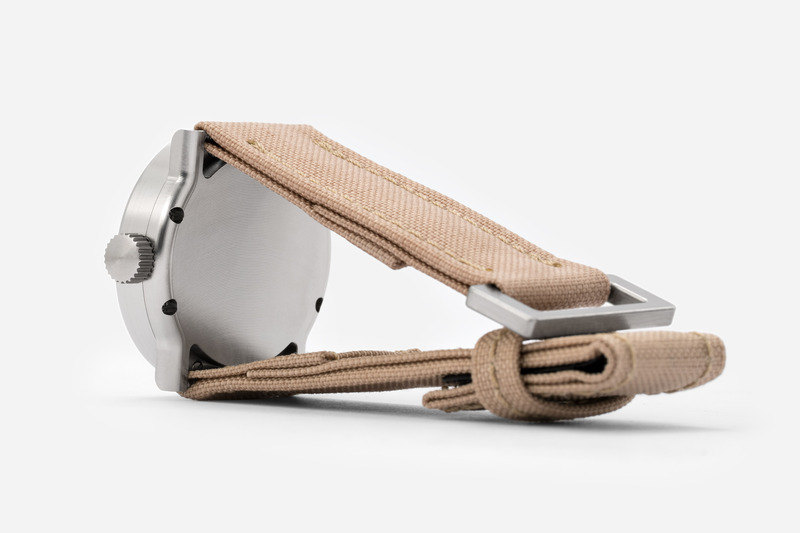 Tan with grade 5 titanium buckle.